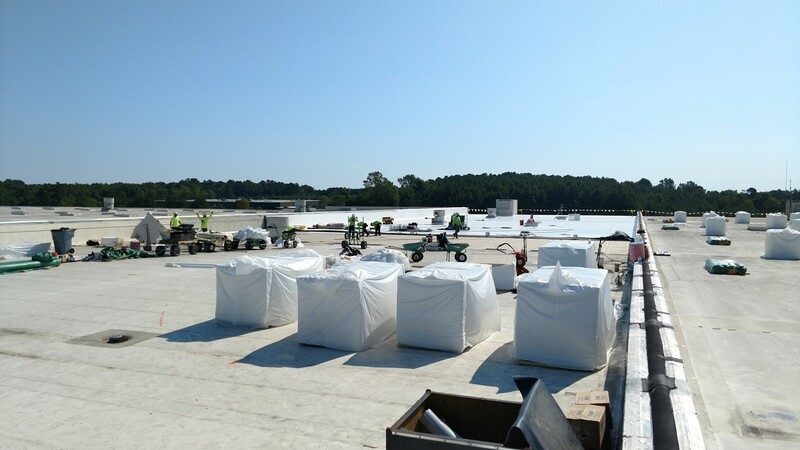 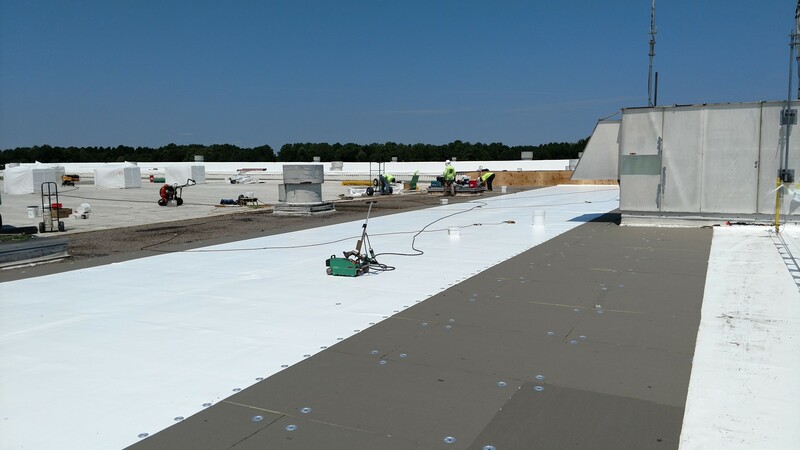 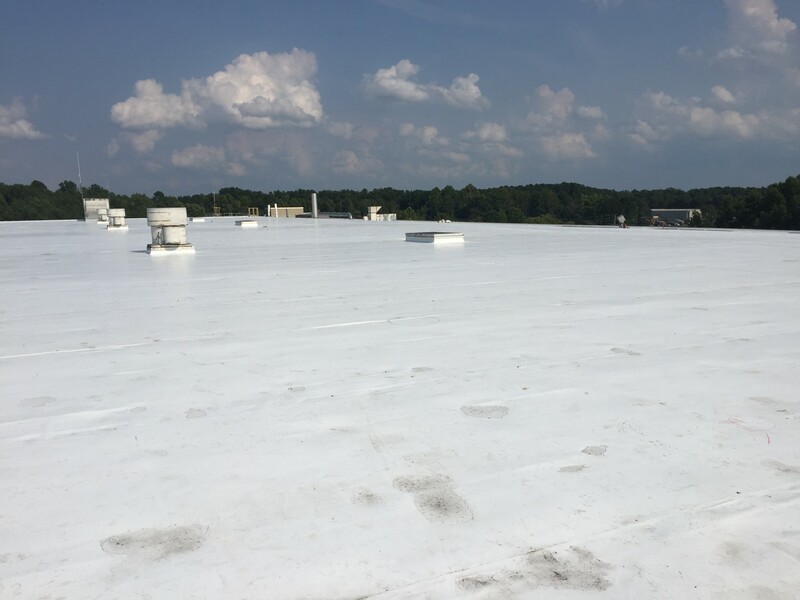 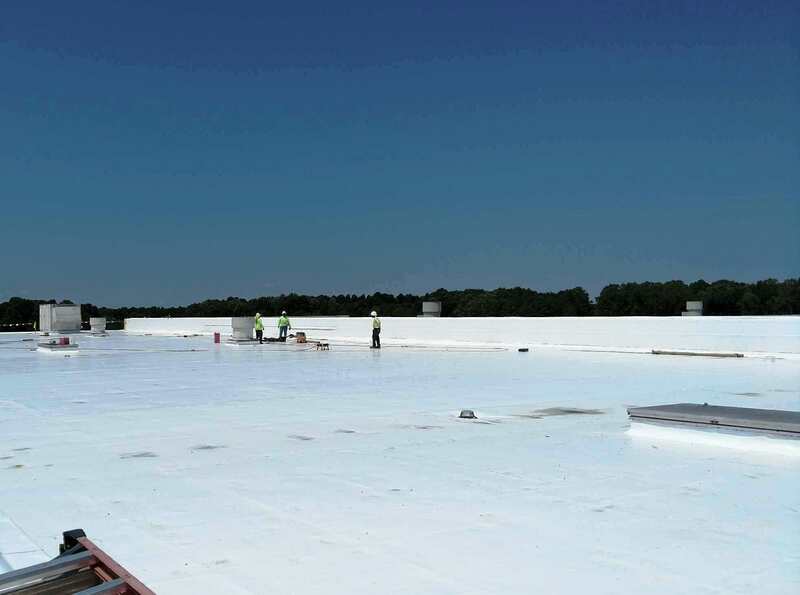 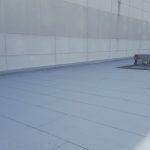 Revlon Areas D, G, J & M - Evans Roofing Company, Inc.Evans Roofing Company, Inc.
Project Info: Remove existing single-ply membrane and ISO down to existing BUR. 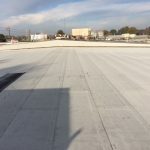 Perform test cuts to located areas of wet insulation and replace. 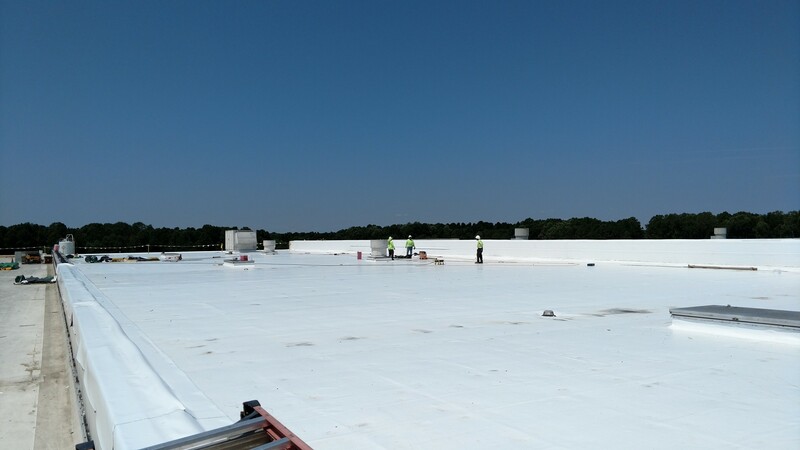 Mechanically fasten new ISO and .60mil Sikaplan membrane.